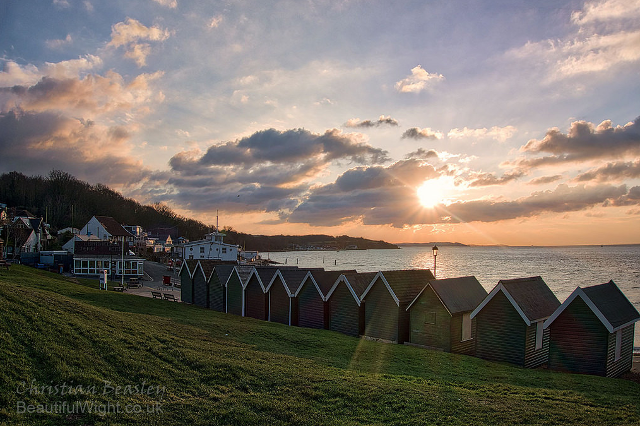 We love this shot by Christian Beasley of beach huts at sunset in Gurnard. This winter sunset shot by Christian Beasley at Gurnard caught our eye. The green, clouds and sun burst make it.